Lab Supply now has a great selection of certified rabbit feeds from LabDiet, including Certified High Fiber Rabbit Diet. This great rabbit diet is formulated to support the maintenance of rabbits used for research, when the goal of the research is not measuring reproduction, growth, or lactation. Certified High Fiber Rabbit Diet is a nutritionally complete feed that works for rabbits at all life stages. 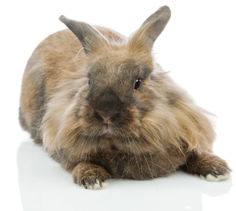 This means that rabbits require no additional supplements or treats because they get all of their nutritional needs from this feed. This rabbit feed is made from the highest quality ingredients and utilizes Constant Nutrition, so that you can be sure there will be minimal biological variation in studies. If you are interested in this great rabbit feed, then please click here to view the product PDF. Here at Lab Supply, we are committed to making sure you find exactly what you are looking for. If you have any questions about Certified High Fiber Rabbit Diet or any other products we offer, then please click here to visit our contact page. We will be more than happy to answer any questions you may have.